опубликовано Март 15, 2019 от Дима писал Анализ рынка. В нем есть 0 Комментарий. 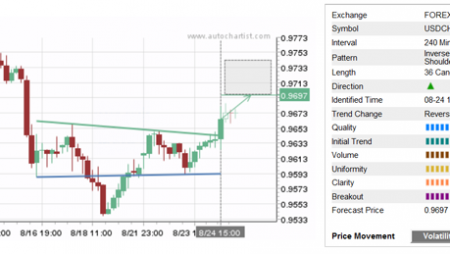 NZD/CAD continues to rise inside the daily Rising Wedge chart pattern which was previously identified by Autochartist. Autochartist оценивает качество этого Восходящего Клина на уровне 4-бара - который является результатом медленного Начального Тренда (1 бар), выше средняя Однородность (7 брусья) Прозрачность и среднего (5 брусья). 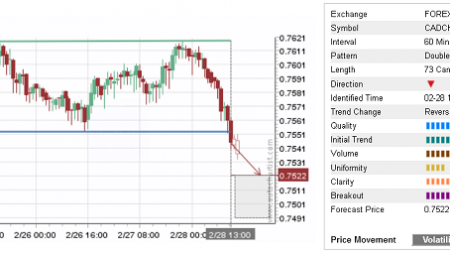 NZD/CAD is expected to rise further inside this chart pattern – in line with the earlier upward reversal from the key support area shown below. 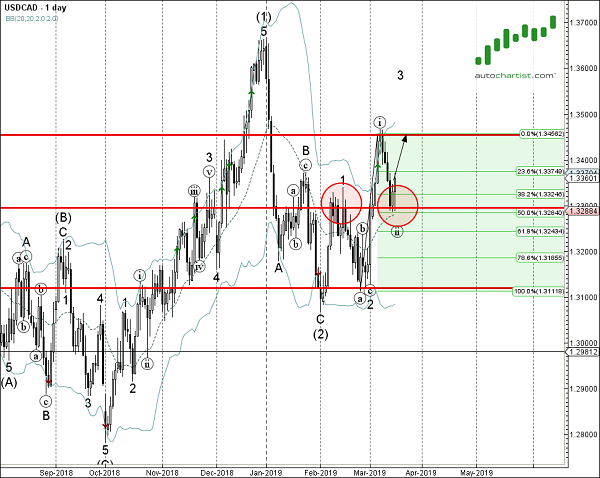 Как видно из ежедневной NZD / CAD ниже, the price earlier reversed up from the support area lying between the key support level 1.3200 и 50% Fibonacci correction of the previous upward impulse from February. 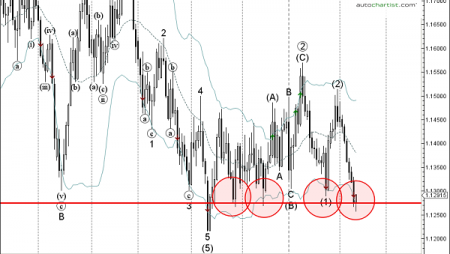 The proximity of this support area increases the probability NZD/CAD will continue rise inside this Rising Wedge.